Rode very smooth, super clean and easy. Great rental! 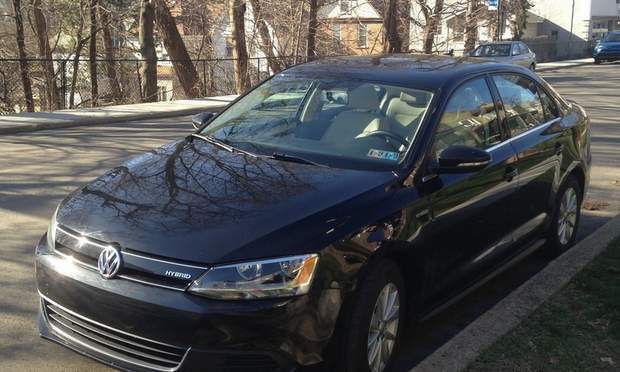 My first experience on Turo and will stick with Alen whenever I am in Pittsburgh. Easiest guy to talk to and rates are better than Avis! This is how personal vehicle rental is supposed to work. Great car and great rental experience! Thank you! This was my 2nd rental with Alen .. every goes very smooth he’s very accommodating and communication is excellent. I would definitely lease again! Great little car to use. Alen was communicative and patient. Levi was fantastic to work with. They car was clean and in acceptable working order. Thanks so much Levi! You made my first Turo experience great!!! Bobby was incredibly flexible and accommodating to us on our trip! The BMW was a dream to drive! Super clean and even better than described! Will definitely be renting from Bobby again!! Brian and Emily were amazing as was the car. This was a LONG rental at just o we a month but smooth sailing the whole way! Thanks! My first Turo experience was awesome with Brian. He was quick with communicating rental details & punctual on time of pickup and drop off. Thank you, Brian! This was a last minute holiday rental and was a most wonderful experience. Affordable, quick, convenient, clean, and safe. When I needed to extend it, Jarrod made it very easy. He had excellent communication from the start of the rental to the end. Definitely would rent from again. Thanks Jarrod! Adam was fantastic to work with. Our flight was cancelled coming in and he was more than flexible with the pickup. Provided guidance on charging, good places to eat, and all around great guy. Will definitely use again the next time I’m in the Pittsburgh area. This was my first time using Turo. It was convenient, much easier, and more economical than a rental car company. Yasser was great! Would highly recommend him and the service in general. Great way to rent a car at Pittsburgh airport. All went extremely well. Would do it again. Justin had the car ready for us for our 10 day trip. We we're lucky to be already acquainted with the Chevy Sonic because that's the car we have at home, and my mother-in-law has one too. It was clean, ran very well and Justin made the process easy for us. You're on Turo anyways and know the price of big name rental agencies are $$$. The price was perfect for the Sonic and was the reason we went with it. Thanks! This car has some pick up and go! The size was deceiving at first but we fit lots of luggage in the trunk and were very comfortable. We also had a full size toddler convertible car seat and it accommodated and has the latch system. Was definitely a reliable rental. He was also very flex with changing pickup times and paid for the parking fee. Communication was great too. There was some trash (water bottles, etc.) and hadn’t been wiped down lately but it still suited our needs. 5 Star experience. Starting from Maine, flying into Pittsburgh on Thanksgiving day and first time Turo guest no backup plan yet none needed. Alan and car were as stated. Excellent communication response times, very polite and professional. Car was immaculate. Would rent from Alan again. Alen was awesome. We had a car booked for our trip and 5 days prior that first owner notified us that his only car was in an accident and we were stuck looking for an alternative. We unfortunately couldn’t get on the line efficiently with Turo for a change and we made the call ourselves to Alen. We had rented from him before so we had his info. Alen was very quick to resolve our dilemma and get us a car that we needed for this trip and stay within budget. Appreciate him and would recommend him as the top host in Pittsburgh! OUTSTANDING! One of best Turo experience's ever! Great guy and easy to schedule! The Mercedes was very nice. Nathan was a great host and very accommodating. My trip went very well ! My experience with Jarrod was excellent. He was very sociable and even let me borrow his jacket because he realized I was a Texan who was unprepared for the cold! His family was also great and I love his ginormous German Shepherd.. and Oh yea, the vehicle. 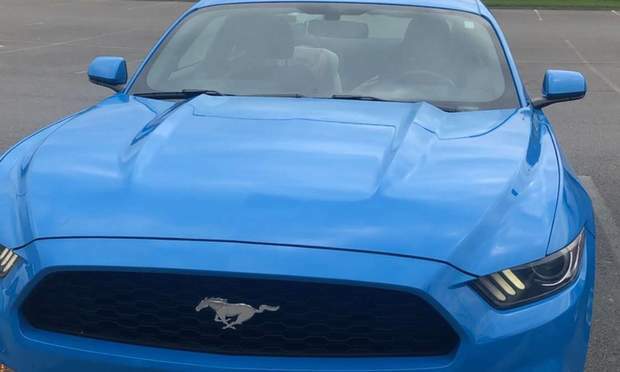 The vehicle was awesome, high mpg, good horsepower, easy quiet drive. I would Turo with Jarrod anytime I find myself in the Pittsburgh area. It was a really great experience ! Patrick was a great host and made us everything easy! The car is incredible and clean , is like driving a great new car !! Great time in Pittsburgh! The car was exactly what we needed. It was clean & in perfect mechanical condition for those Pittsburgh hills, lol! D was amazing through the entire process. He communicated well with us & made sure we had everything we needed. We will definitely rent from him again. We were in Pittsburgh for a ceramic conference. Ryan's car was awesome for getting around the city. Great gas mileage and plenty of power to get up the hills. This trip was awesome the car was great perfect condition clean and a great car to get around in the city of Pittsburgh!!! Also the host made it very convenient for me aint nothing like getting off the plane and straight into a vehicle without waiting it was there just like he promised thanks a ton very pleased!!! Alan was very easy to work with, I had a bit of a scheduling mishap and he made it work without any hitches. I’d definitely rent one of his cars when I’m back in Pittsburgh! This was a very easy couple to work with especially with uncontrollable travel delays. I highly recommend using Brian to rent your next vehicle in Pittsburgh. Great car great host !!! The car was very clean drives smooth nice on gas ! 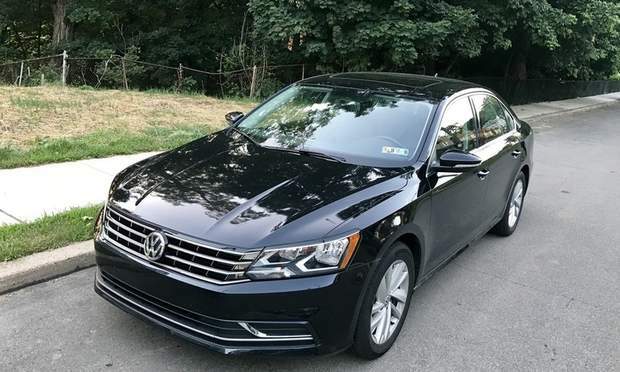 A wonderful car to drive around Pittsburgh definitely enjoyed it and looking forward to renting again in the near future especially with the host alen being convenient and professional amazing guy !!!! This was our first time using this app. Sharonda made this trip so great for us! So accommodating to our pick up & drop off times/ even when flight times changed. This car was great to drive around, no problems what's so ever. Sharonda was unbelievably kind!! We will definitely be in touch next time we come out to Pittsburg. Easy to pick up from the airport, great car to get around the city, would use again! Justin was very communicative leading up to the reservation and upon checkout. I opted to have the car picked up and dropped off at the airport. Car drives well and is very fuel efficient. If I’m in town again, I would rent with Justin. Patrick's Tesla was a blast to drive, it was a great way to do an extended test drive of a vehicle I've considered owning. Patrick met me at the airport both on arrival and departure, totally flawless exchange, couldn't have gone better. I was so last minute but everything was smooth sailing. Alen was every personal and professional! Thank you for helping with the ease of my trip! Thank you for the nice car! Alen was great in every way. The vehicle was in impeccable condition. Great communication! He was always checking in to see if everything was going well for me. I will definitely rent cars from Alen again. 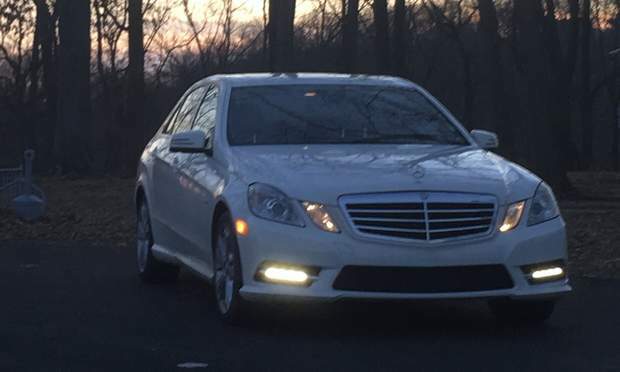 Allen is super reliable and has a great benz! Definitely recommend Allen to anyone! You need to use Turo!! Kevin was over the top great!! Alen was friendly and easy to work with. Delivery was super convenient, as was the drop off. The car was in great condition as well. Alen was very accommodating with our late night arrival and unpredictable departure. I would definitely work with him again. Thanks! Christen was awesome! Super friendly and awesome, lots of good communication. Car was really great, with heated seats and new tech. Great experience, car was amazing. Patrick took the time to go over the vehicle with me so it made it much easier and was helpful when I had questions during the trip. He was very accommodating & helpful. Basel, thank you so much for the BMW. It was a great vehicle to have during our visit. We’d love to rent from you again! Excellent experience. D was a great communicator and the pick up/drop off was super convenient. Car was clean & dependable. I'll rent from D again when I get the opportunity. Rented his car for 2 months. Petros was great with communication and flexible plus punctual with pickup/return times. I had to replace the wipers which Petros kindly allowed me to and reimbursed me the fees. I trust that if I ran into any problems that it would be taken care of. This car was very reliable. I would definitely rent again from him and highly recommend him for car rentals. Basel was easy to communicate with and the car was exactly what we expected. It performed nicely on a 5 day road trip through the finger lakes and having the convertible option made for some wonderful driving. Thanks! Great experience will rent from Turo again. Nice car with great gas mileage. First time using Turo and I’m so fortunate to have Jarrod as our 1st Turo experience!!! Thanks for everything!! A pleasure to work with- Easy communication Car as described 👍 Would use again for sure! D was a great host. He kept in touched during the whole trip. I would definitely use him again. Easy to work with and very straight forward. Bill’s car is as advertised. Collection and drop of was extremely easy and convenient. Would rent again. Ryan was great - very easy & professional. 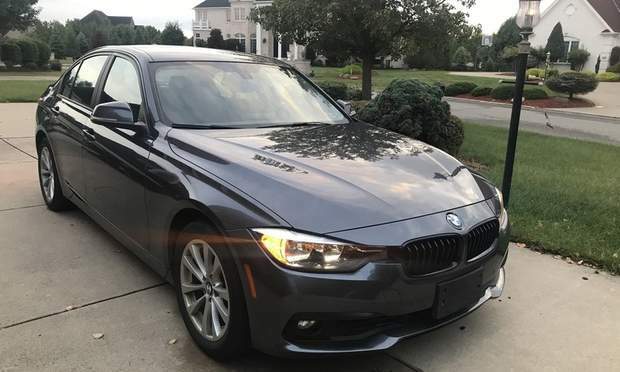 Car was excellent - clean, great shape, etc. just as advertised with zero issues. Working with Ryan was sooooo easy! He provide a car that looked like it just came from a parade! Brian was easy to work with. Will definitely use him again! The Prius was a awesome car! Beautiful car ! Wonderful host made my trip amazing all the way around . Trust me nothing but greatness the communication punctuality down to earth good person and vehicle you’ll most definitely be satisfied!!! Reliable car, fast communication, everything looks like my friend left me a car for a while. Awesome! Amazing customer service, friendly, and accommodating! Def would recommend again for my next trip back to PA! Corey's car was amazing. Clean, drives greatly and is very well maintained. Communication with Corey was quick and very friendly. I highly recommend Corey's car. Thanks so much! Everything was great! Excellent experience all around! If we’re ever in the area again, wouldn’t hesitate to rent with Alexander! Great car. Very clean and nice color. Stephanie was punctual and easy to communicate. Just have good things to say. This was my first time using Turo and Brian made it an excellent experience. He was extremely accommodating, friendly, and helpful. The car drove great and gas mileage was awesome. Highly recommend! Everything was great! Would definitely recommend. No frills but awesome gas mileage. Simple and efficient. Sharonda was awesome, prompt, flexiblegreat experience. Stephanie was amazing and so was her vehicle! She made everything easy and convenient, staying in close contact for pick up and drop off! Couldn’t have been happier. Car was pristine, spotless, and a dream to drive. First time to use Turo. Basel made it a great first experience. Will use again for sure! He was a pleasure to work with and will definitely be renting again. Brian was very accommodating and easy to communicate with. The car was as advertised and fulfilled every need. I would highly recommend and would rent from Brian again.